During one of Robin's journeys through Italy, she visited a picturesque 17th century villa in the Etruscan countryside that was rich with Roman influences. She created these sophisticated pieces with that region in mind, and named them after that enchanting villa. 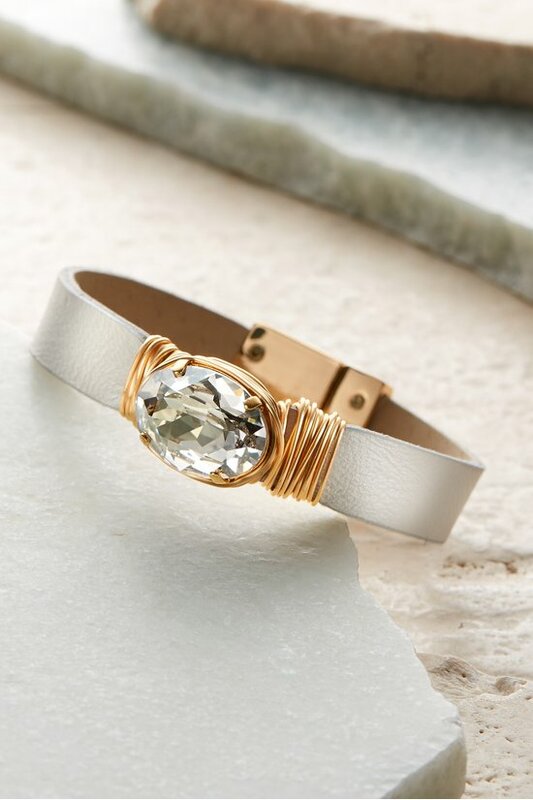 Available in four beautiful colors, these slim leather bracelets are embellished with gleaming faceted Swarovski crystals and rhinestones, which are edged on each end by overlapping layers of sleek golden bands. The vertical oval stones make these bracelets ideal for layering with watches and other bracelets for a luxe, contemporary look.